hd00:08Group of walruses relax near water on shore of Arctic Ocean in Svalbard. Wildlife. Dangerous animals in Nordic badlands. Unique footage on background landscape and snow mountains of Spitsbergen. 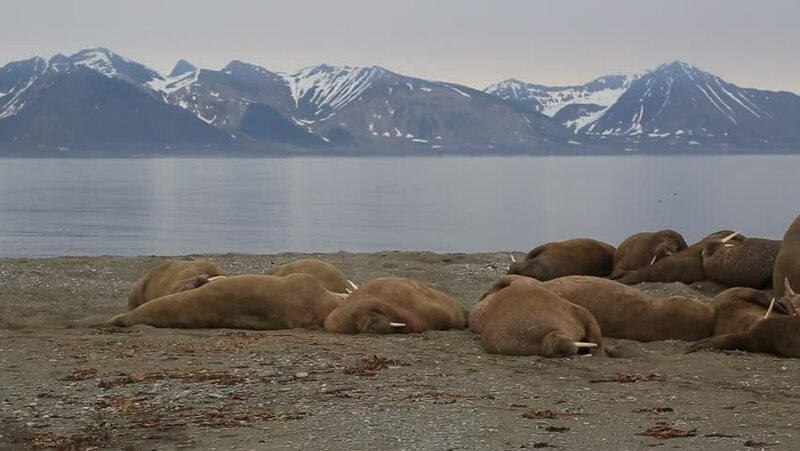 hd00:15Group of walruses relax on shore of Arctic Ocean in Svalbard. Wildlife. Dangerous animals in Nordic badlands. Unique footage on background natural landscape and snow mountains of Spitsbergen.